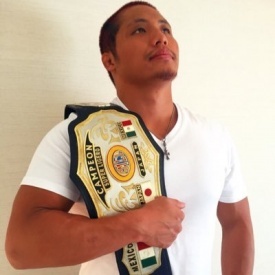 NJPW wrestler who came on excursion to CMLL. Developed a rivalry with Dragon Lee II where their matches where so great many felt they had the feud of the year of 2015. In early 2016 he left CMLL and moved to New Jersey where he began wrestling for U.S. indie promotions including Ring of Honor & California's Pro Wrestling Guerilla. By late 2016, he returned to NJPW to join Ingobernables de Japón. He would quickly become the IWGP Junior Heavyweight Champion. This page was last edited on 14 April 2018, at 15:17.